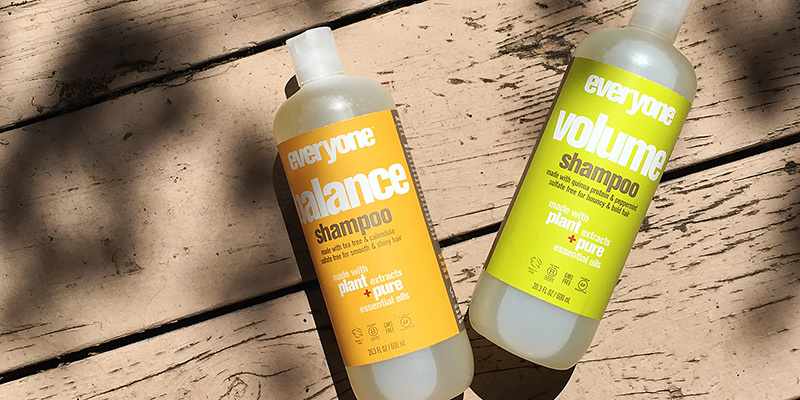 We’re actually new to Everyone products, and these shampoos were just a stumble upon at the grocery store when looking for some tea tree oil shampoo in a hurry. These are sulfate-free and made up of all kinds of essential oils and plant extracts, so we picked up two kinds to give a go. We had a blondie try the “Volume Shampoo”, and a brunette try the “Balance Shampoo”. Just a note that we tried these without any conditioners because we wanted to see how the shampoos work on their own.